The IRXP-5000 is a full featured thermal analysis camera designed for Laboratory, Educational and Security applications. The 5000 is fully IP addressable and comes complete with Analysis Software and SDK. The RAZ-IR XP5000 radiometric infrared camera gives you unprecedented thermal analysis capabilities in a low cost highly configurable package. The 5000 is a fully radiometric thermal infrared camera system that connects to a PC via CAT-5 Ethernet connection with fully IP Addressable control and monitoring. 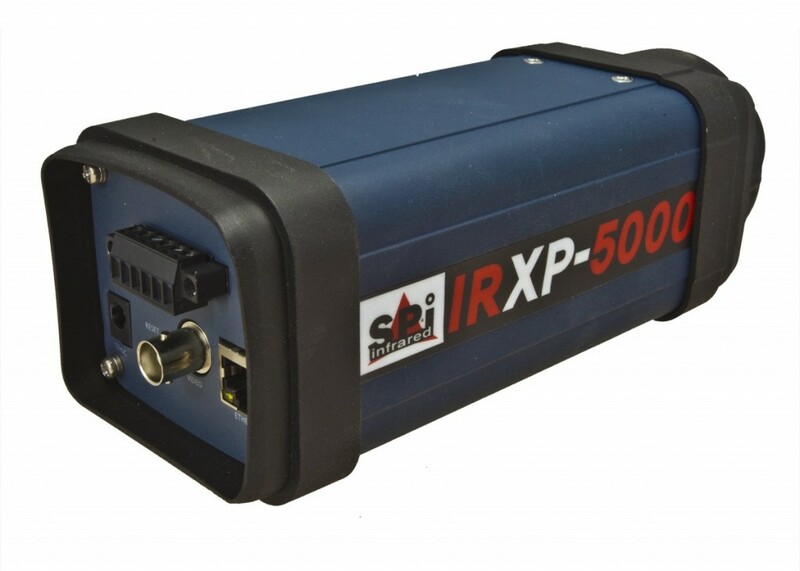 The 5000 comes with full research IR analysis software and can transfer real time radiometric thermal data and video over the Ethernet connection. The 5000 also comes with a complete SDK to allow you to integrate the thermal camera into your own systems. Not only can the 5000 infrared camera be operated via Ethernet but it also comes with standard RS 485 serial control and analog NTSC video output. This makes it an ideal solution for thermal security camera applications and educational or demonstration installations. The 5000 Infrared cameras are also excellent process control or process automation thermal cameras ideal for use in factory settings. 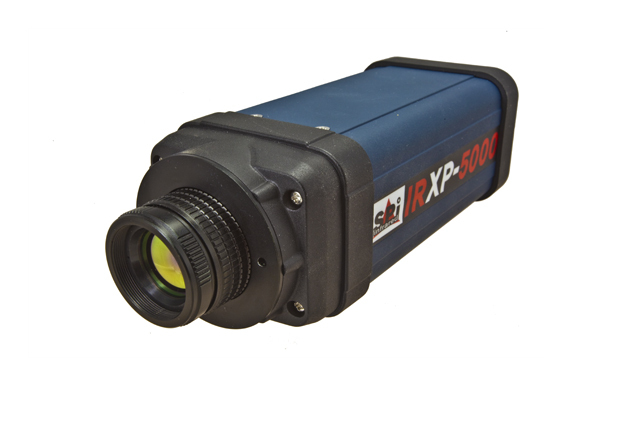 The XP 5000 radiometric infrared camera is easily installed in laboratory or factory settings. Complete camera control and video / data transmission through IP addressable Ethernet connection. 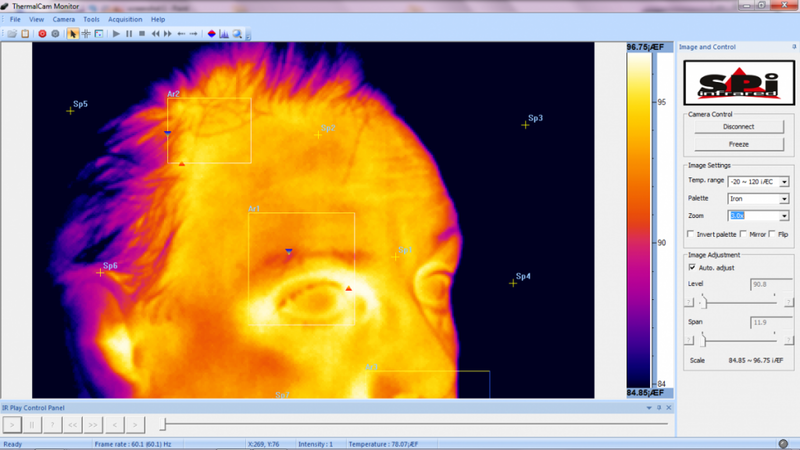 The 5000XP has a wealth of advanced features normally found on infrared cameras that cost tens of thousands of dollars. The high resolution imaging of the 5000 thermal video rivals the most expensive cameras on the market today. Advanced temperature measurement and alarming functions let you integrate the 5000 into any application that you have. From infrared microscopy to laboratory analysis to process control to factory automation to perimeter security, the 5000XP has got you covered. 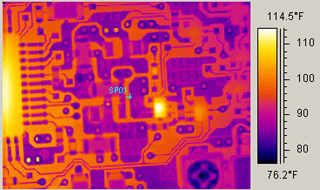 Announcing the latest in high performance low cost IP addressable thermal infrared camera analysis instruments from SPI. This model is a new addition to the product family. This means you get the most up to date technology, securing your investment for years to come. Accurate radiometric temperature measurement and SDK Ethernet interface lets you accurately quantify the temperature of any pixel in the scene you are viewing. 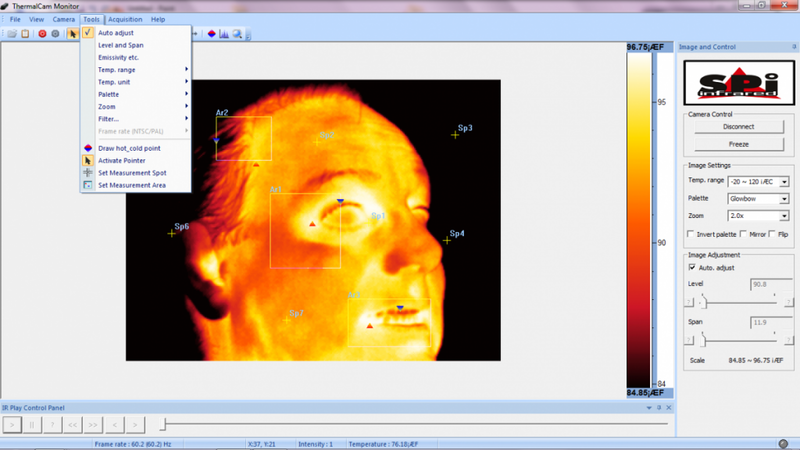 The world wide choice of thermography professionals, laboratories, museums and educational institutions. Now shipping to destinations around the world. Our export team can assist you with international shipments. A wide variety of optional lenses are available for the IRXP-500-XP thermal analysis camera suitable for any application you might have. Contact an application specialist to discuss your unique needs. Sample screen shots of the IRXP USER interface GUI included with each purchase.